Enjoy the top 2 famous quotes, sayings and quotations by John Onyango Agumba. Science must always clash hard with religion in order to expose man's inherent insufficiency to reason and expose the Super Being's existence. 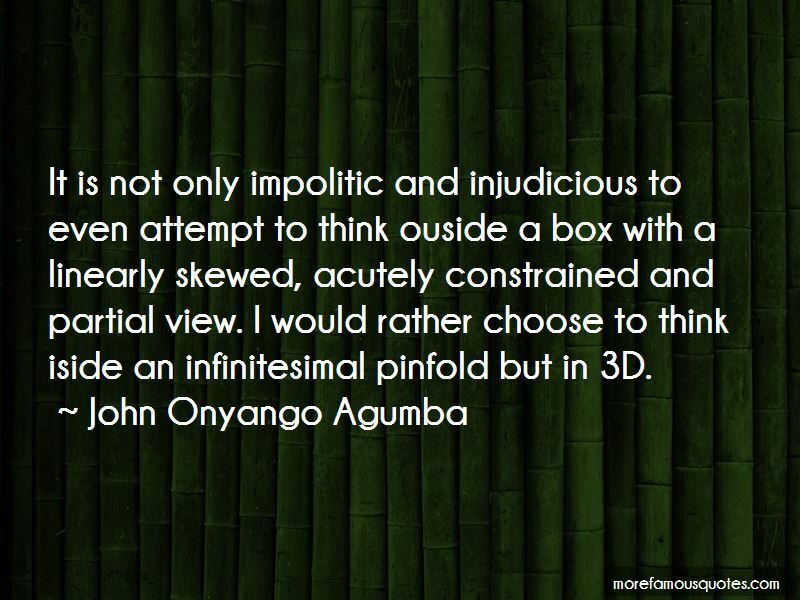 It is not only impolitic and injudicious to even attempt to think ouside a box with a linearly skewed, acutely constrained and partial view. I would rather choose to think iside an infinitesimal pinfold but in 3D. Want to see more pictures of John Onyango Agumba quotes? 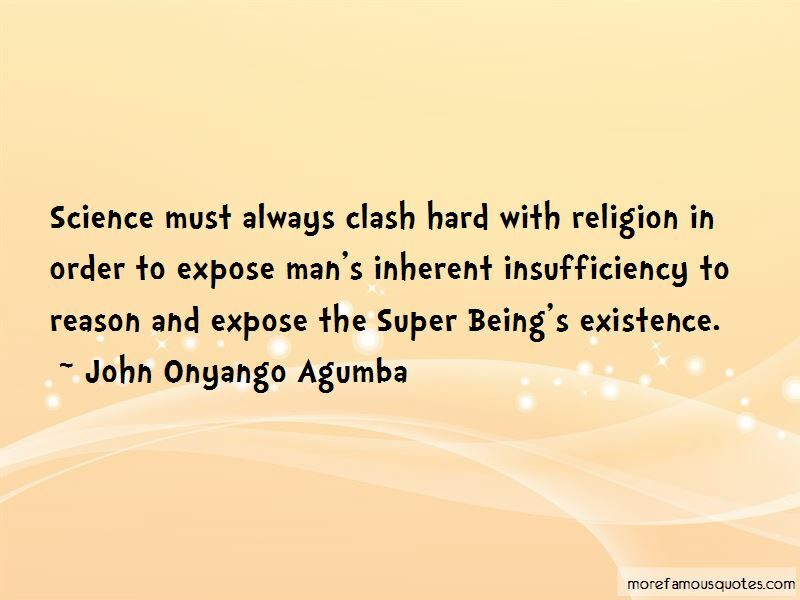 Click on image of John Onyango Agumba quotes to view full size.